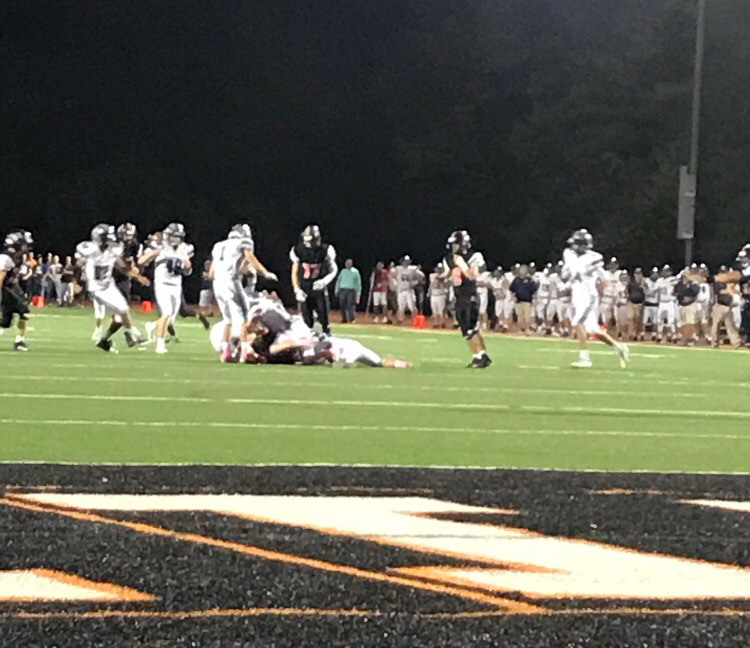 Friday the 13th turned out to be a lucky night for the West Clermont Wolves, as they defeated the Loveland Tigers to extend their win loss record to 5-3! The varsity won 16-8 in a close game against the 1-7 Tigers. Loveland then responded with a touchdown and a 2-point conversion that made the score 10-8. The home crowd booed loudly after the officials gave the Tigers a touchdown call though most in the stands thought their player dropped the ball. Junior Ryan Cann caught a 49 yard pass to help the Wolves take a 16-8 lead. West Clermont ended up with 332 total yards, and the defense held Loveland to only 182 yards. According to the MaxPreps website, the attendance for the game was more than 5,000! West Clermont High School swim team is diving into its first-ever season starting in November when they get to take the plunge into the school’s brand new competition pool. The swim team wants to get up to 50 people on the team this year, and that will include students down to 6th grade. There are no tryouts for the swim team, so everyone will make the team. Swim team member Lily Wilfert said all you need to know is how to swim to make the team. Lily was on the Amelia swim team last year, so she has some experience. “I am very excited for the season and can’t wait to start a new chapter for West Clermont,” said Wilfert. There are two teams, one for varsity and one for junior Varsity (jv). The girls’ coach is Coach Bowling, a 7th grade teacher at West Clermont Middle School. She was a swimmer at a young age, so she has plenty of experience. The boys coach is Coach Mayne, and he is a choir teacher at the high school. 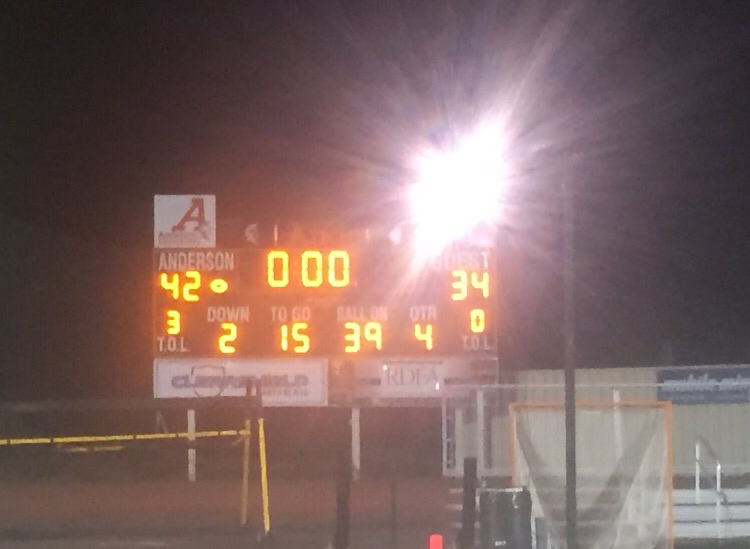 The Wolves Football came with a great comeback during the 4th quarter, scoring a touchdown making it a tie game at 3:12 on the clock. It was a great effort put in by the Wolves! Everyone was very proud of the Wolfpack. Ryan Cann, Austin Price, Tyler Steinker and Jacob Kilgore each had touchdowns. The wolves scored 0 points the first quarter while the Redskins scored 14 points. The second quarter the Wolves scored 6 points, the Redskins scored 13. The third quarter the Wolves made a comeback bringing in 28 points with a total score of 34. The Redskins scored 15 bringing their final score to 42. No points were scored in the fourth quarter by either teams. The final score of the game was 34-42 for a tough but hard work loss by the Wolves. Finally, football player Ryan Cann is up for deciding the athlete of the week with 254 yards and 2 touchdowns total!